The Toronto Real Estate Board reported 5,307 condominium apartment transactions through the TorontoMLS system in the third quarter of 2013. This result was up by 18% in comparison to 4,498 condominium apartment sales reported for the third quarter of 2012. 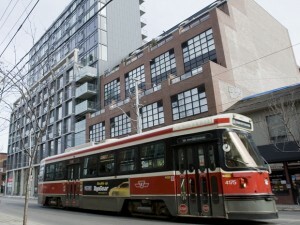 In the City of Toronto, which accounted for 72% of condominium apartment transactions, sales were up by 19.5%. “The Echo Generation wants to live close to where they work and play. It makes sense that they have turned to condominium apartments as they have moved into home ownership. Many condominium apartments in the GTA are characterized by their proximity to a diversity of employment, transportation and leisure alternatives,” said Toronto Real Estate Board President Dianne Usher. “A growing number of buyers have restarted their search for a condominium apartment since the summer. Despite the onset of stricter lending guidelines, buyers have found that home ownership remains affordable,” continued Ms. Usher. The average selling price for condominium apartments in the third quarter of 2013 was $340,069 – up almost 2% in comparison to the average of $333,846 in the third quarter of 2012. “We experienced a moderate annual rate of increase in the average condo price. However, while condo sales were up, listings were down in the third quarter. If this trend continues, it could point to increased competition between condo buyers and an uptick in the pace of price growth moving forward,” said Jason Mercer, TREB’s Senior Manager of Market Analysis.